Reddit has launched a new crowd funding website called Redditmade, which is designed to turn designs from the Reddit community into actual products. It looks like Redditmade is more than just a crowd sourcing website, as in the announcement it is mentioned that Reddit will connect creators of project with sourcing partners to create goods. redditmade is a new place to turn the best designs and products by the community into reality. 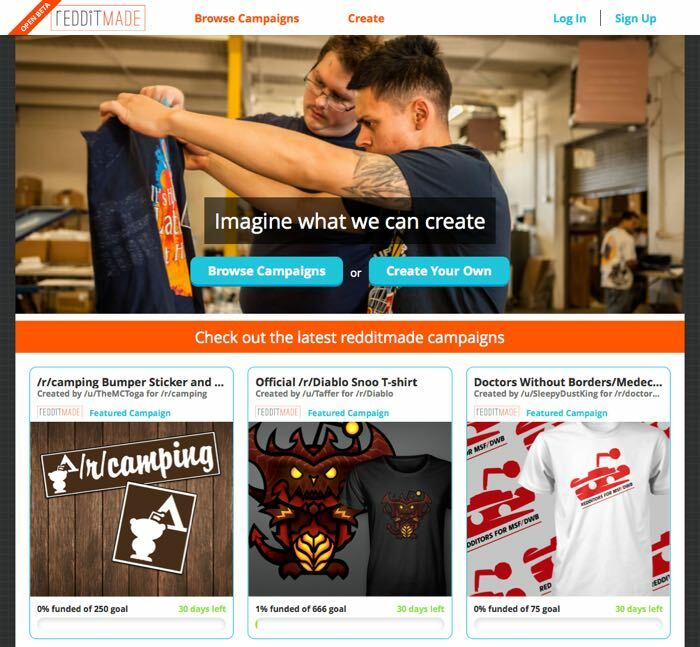 redditmade gives you the flexibility to create almost anything you want, easily raise money, and support causes you care about. It’s also a great way for others to find awesome new products they’ll love and support other redditors while knowing their information and money will always be secure. You can find out full details about Redditmade over at the website at the link below, the site has launched in Open Beta, and anyone with a Reddit account can create projects on the site. Reddit users who create successful products on the site can chose to donate any funds from the project to a charity or an individual to raise money for good causes, they can also choose to sell the products at cost if they want.